On July 15th 2016, what was supposed to be another normal Friday in Turkey became the night of a coup attempt. 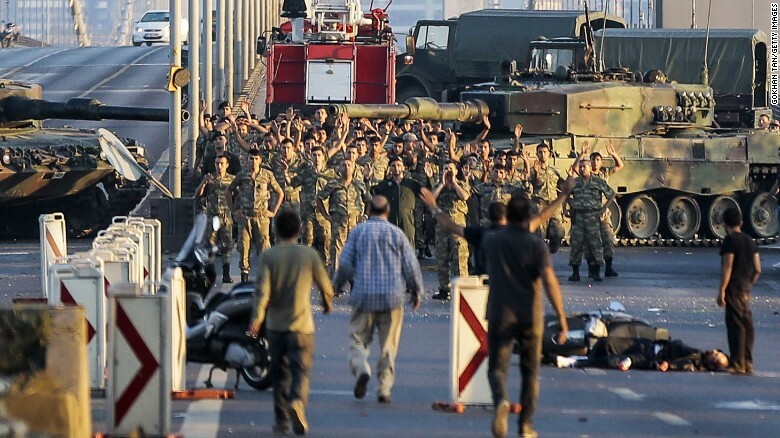 A group of militaries took their guns, and with the help of aircrafts and tanks, they blocked bridges, airports and streets all around Turkey. While jets were attacking the Turkish Assembly, the Turkish militaries entered in the national Turkish television (TRT) and made a statement declaring a nationwide curfew. What was supposed to be a coup to depose Erdoğan ended a few hours after as a failed military coup, mostly due to the civilians from different political and non-political spectrums who joined forces to stop the militaries on the streets. The coup attempt brought Turkey into a state of emergency, which after one year remains latentand arguibly has a causal relationship to several Human Rights violations. July 15th has been proclaimed a public holiday to celebrate the “Democracy and National Solidarity” and several events are planned in Turkey, but also at Turkish Embassies around the world. Erdoğan will lead the “National Unity March” from the 15 July Martyrs Bridge (former Bosphorus Bridge), renamed in honour of the 248 people who died that night, andlater the President will give a speech at the Turkish Assembly at the exact time the military attack took place last year. This was not the first coup in Turkey’s history, militaries are the cornerstone of Atatürk’s secular order in Turkey. It can be argued that when a Turkish government pushes the regime into conservative politics, the militaries make sure that the government sticks back to the the secularism rule implemented by Atatürk. Erdoğan was aware of this and since his first years as Prime-Minister he was able to reduce the power of the militaries in the politics. All Turkish political parties showed their disagreement just after the beginning of the military operation, but Western leaders took time to condemn the Turkish coup. 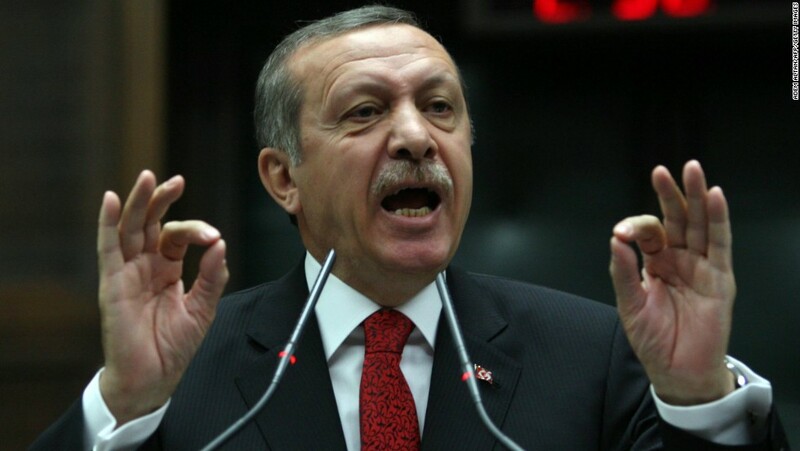 Personally, Western leaders might not agree with Erdoğan’s views, but they should? not support this antidemocratic way of unseat an elected leader. Turkish President did not lose time and asked the United States of America to extradite Fethullah Gülen, who has been accused of being the leader of this plot against Erdoğan since the beginning of the coup attempt. Gülen, who is the founder of the Hizmet Movement, currently known as FETO and considered a terrorist organisation by AKP supporters, keeps denying his involvement in the coup attempt. At that time the US Secretary of State, John Kerry, answered Erdoğan’s request by stating that the US will not do anything until Turkey shows concrete evidence of the Turkish cleric implication in the coup. One year has passed and Gülen still lives in exile at his big house in Pennsylvania, and Erdoğan has not been able to give the US concrete evidence to incriminate the cleric. Gülen and Erdoğan were friends until the Gezi Park protests in Istanbul, after that some corruption scandals involving AKP members came to lightand some of the accused were Erdoğan’s close allies and family members. The Hizmet Movement used to be a big force in Turkey.However, after the coup attempt they saw their influence in Turkey vanished, as their schools, universities and newspapers were closed down and their members, imprisoned. 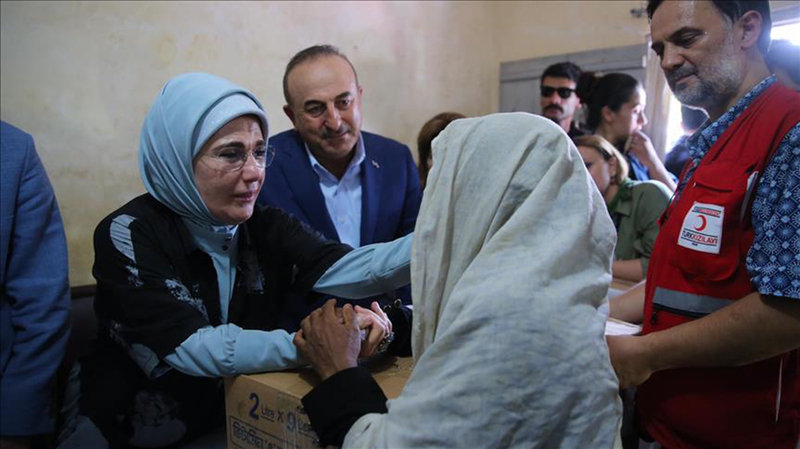 More than 100,000 government employees were dismissed from their duties due to connections to FETO and over 50,000 are stillpending trial , accused of terrorism support, including also some HDP lawmakers by their suppose links to the PKK. Some sources also claim that a Kemalist faction inside the Turkish armed forces was behind this coup attempt. I believe this makes better sense, as militaries are seen as the guarantee of the Secular republic that has been threatened by Erdoğan. But why would the Kemalist militaries attack the Turkish Assembly that was founded by Atatürk? Without any conclusive investigation, the President keeps accusing Fethullah Gülen and the members of his organisation as the responsible of the coup attempt against him. Turkish democracy may have survived to last year’s military coup, but justice is facing hard times in Turkey. Since the coup attempt, Turkey lacks “proper” justice for the thousands of journalists, academics, lawmakers, teachers, judges and civil servants who remain in jail without any indictment in sight. In June, the main opposition started a march for justice in Ankara after one of its lawmakers was imprisoned. The march for justice was able to gather people from outside CHP who want the end of the state of emergency and an independent judiciary and fair trials for the detainees. With the recent referendum, which gives power to the President to appoint judges, an independent judiciary in a clime of state of emergency will be hard to find in Turkey in the near future. Politics might have divided Turkish people, but justice is now a major concern to the majority of the turkish people. I am truly convinced that in a democratic way, Turkish people united can change Turkey’s troublesome trajectory defending justice, as they did it to defend the Turkish democracy during the 15th July night.